Have just a few minutes before guests arrive? This is your go-to recipe. 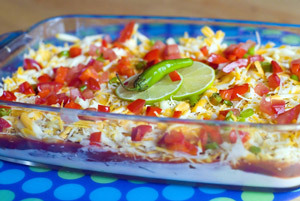 Made with Kemps Sour Cream, refried beans and fresh veggies, it has an irresistible bite. So good, in fact, it just might be gone as quickly as it’s prepared.